Jane Overbury is a landscape painter who was born in Cheltenham, England in 1961. She studied Illustration at Harrow School of Art and then embarked on a career in design which lasted until a break to raise a family led her to return to painting. 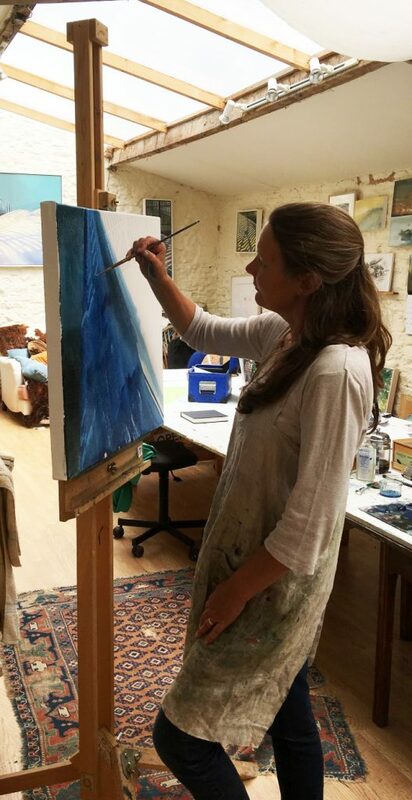 She has held regular solo shows and recently completed the Porthmeor Programme which culminated in a group exhibition at the Penwith Gallery in St Ives. To view a gallery of works by Jane please click here. If you would like to see any upcoming events or information on past exhibition please click here. To contact Jane click here. For information on Jane's current and previous projects click here.